Monday, July 9, at 7:30 p.m.
MSUM’s School of Media Arts & Design and the Red River Chapter of the American Theatre Organ Society presents an evening of silent comedy shorts in honor of Dave Knutson, The films will be accompanied by live pipe-organ music in honor of Knudtson, who was a composer, musician, and classic film lover. Knudtson also taught radio and TV production for a while at MSUM, and played theater organ scores for MSUM’s Summer Cinema Series for more than 30 years. 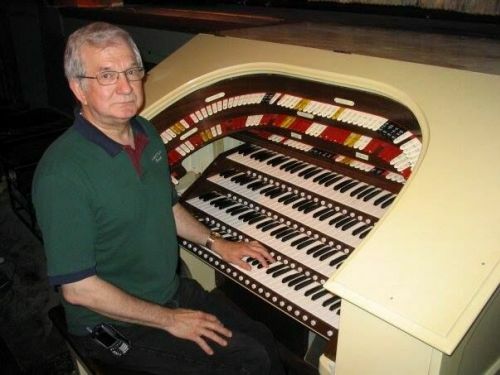 He died last March.The event is free and open to the public, but free-will offerings will be accepted with proceeds donated to the Red River Chapter of the American Theatre Organ Society in Dave’s memory. Ice cream treats will be served at the end of the evening.